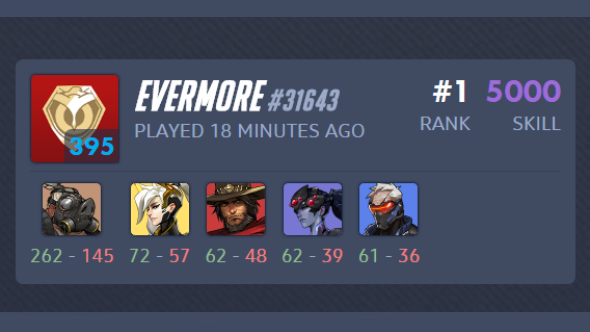 South Korean Overwatch pro Koo ‘EVERMORE’ Kyo Min has become the first player to hit the 5,000 skill rating cap just three days after Season 3 began. To find out how you can be the very best, read the best Overwatch heroes to get started with. 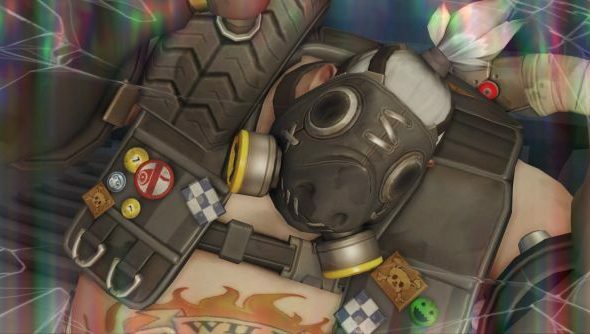 EVERMORE, a Roadhog main of all things, plays for Team KongDoo Panthera, who were elimnated in the group stages of Korea’s Overwatch APEX Season 1 tournament last month. The tank player has a record of 40 wins to 5 losses in the early stages of this competitive season, which began on December 1, earning him the maximum number of skill rating points possible on the 0-5,000 scale. Jeff Kaplan mentioned at BlizzCon that the team at Blizzard would be rejigging the way skill rating worked for this season, to more evenly spread the bell curve distribution of players across the range, so perhaps that has helped in some way. Either way, congratulations EVERMORE on becoming the very best, like no one ever was.